You favorite American football team is playing against the Dallas Cowboys. There is a lot of construction on I-980 and a lot of rain. The roads are covered with rain and you start to glide. You lose control and slide off the road into a construction ditch. Luckily you are not hurt, but your car is stuck in a heap of mud. This is a job for Rocket Towing. We are there to recover you vehicle, or any other type of vehicle, from a situation like this. We use our leading edge winch technology to extract vehicles from mud or snow. The winch is attached and your vehicle is carefully hoisted onto our tow truck. Your car may be full of mud, but Rocket Towing will make sure you make it to that game in time for kickoff. 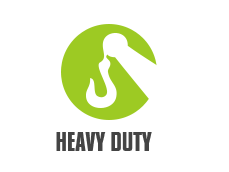 At Rocket Towing we are very proud to provide you with service and convenience. Service that never stops. 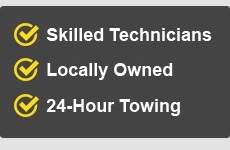 Our tow trucks are available to you 24 hours a day, 7 days a week. Prices that can’t be beat. Don’t get anxious when it’s time to pay your bill. You’ll see that our prices are fair. Trust. Rocket Towing Oakland is the most reliable company to transport your vehicle, or to provide any emergency roadside assistance. 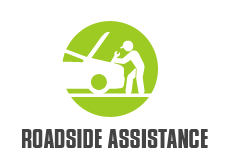 We care about our customers, their cars, and we are willing to go the extra mile to gain your trust and loyalty. Fast Response. 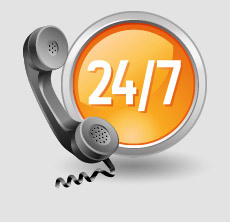 We can get to you within 30 minutes of your call. 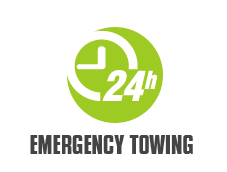 No more waiting an unreasonable amount of time to get your car serviced. We are predictable and we will be there for you right away. 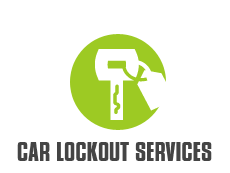 Rocket Towing has been a trusted services provider of the Oakland community for many years.